May the corners of your lashes always stay down. Look no further for the ultimate Eyelash adhesive. Provoc has the staying power. Available in clear or black, this waterproof professional grade strip lash glue will become a permanent part of your makeup bag. 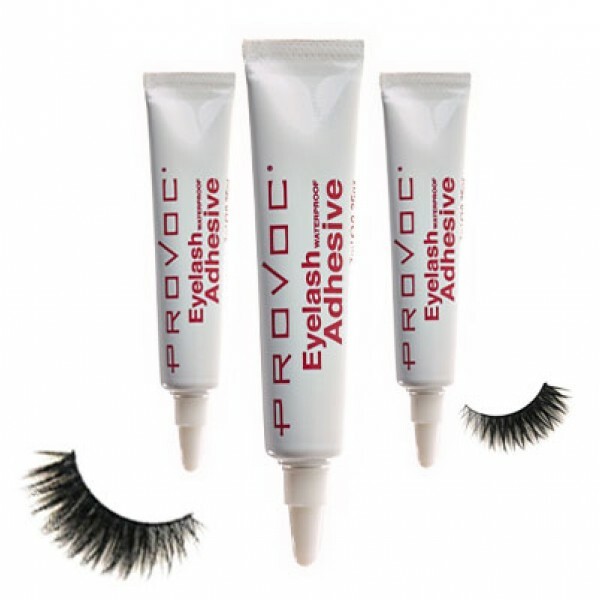 This glue is much stronger than standard strip lash glue so please ensure you only use a small amount. The smallest amount will create a bond. Comes in a 7ml tube. •	Check the fit of strip lash and if too long, trim from outer edge •	Carefully apply a small amount of adhesive along vein of strip lash •	Allow 30 seconds to dry •	Place strip lash on the centre of the upper eyelid, as close as possible to the natural lashes •	Apply rest of the lash working outwards towards the corner of the eye •	Hold for a few seconds until adhesive sets.